Luckily, there was some free wifi in the area so he could distract himself while I carefully looked through every last copper pot, ginger grater, and tiny painted bowl… I have no words, really. Store upon store, stuffed with stuff (good stuff). Pinch me. 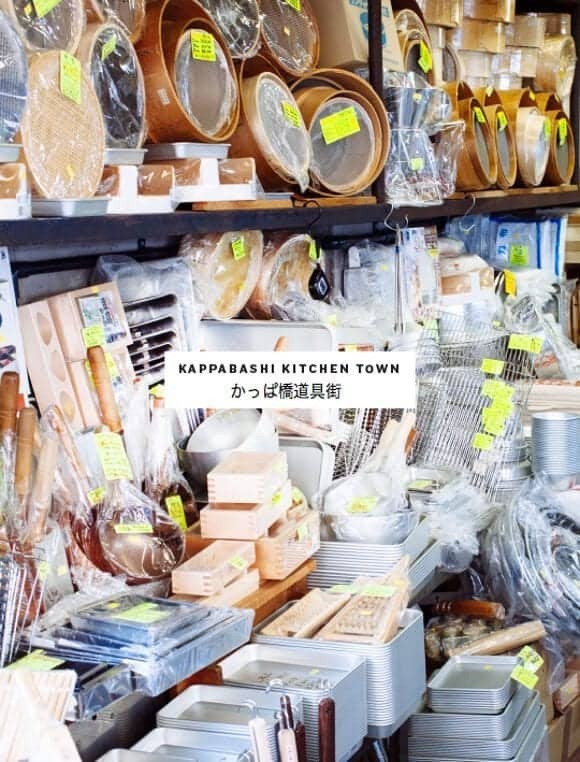 If you’re heading to Tokyo and you like kitchen things, Kappabashi street is a must-do. It’s 4 or so blocks full of kitchen stores, many of which are commercial restaurant supply stores. 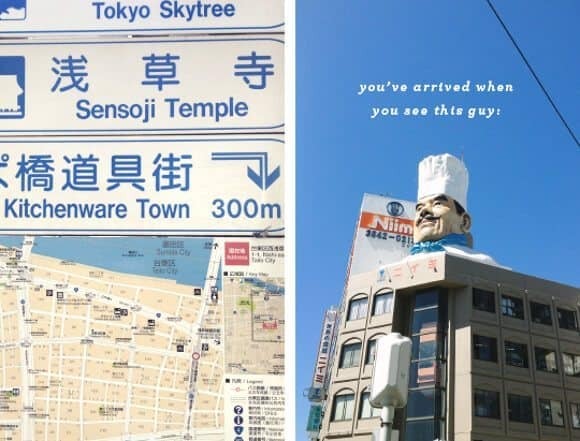 I suggest visiting nearby Asakusa on the same day, especially if you think your travel buddies will not be as excited about kitchenware as you are. (Go there first, so you won’t have to lug your purchases around all day). Here’s a link with subway info and a map. Drooling with envy… this looks like heaven! 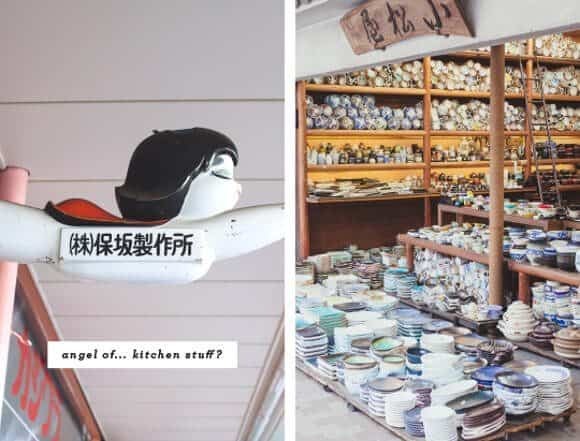 it really was heaven – I always try to bring home kitchen things whenever I travel, but I’ve never seen anyplace like this :). Really good prices too. I LOVE Kappabashi! Every time I visit Tokyo the first day will be totally filled with a time consuming stroll through this road and it’s neighbouring tiny streets. 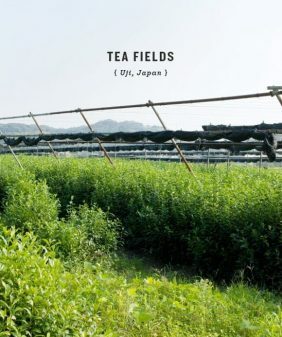 And I love the green tea on one of your pictures… Haaaa, missing Japan… Enjoy! ha, I knew someone would notice that 🙂 I really miss those green tea vending machines… Made it so easy to drink green tea all day every day! 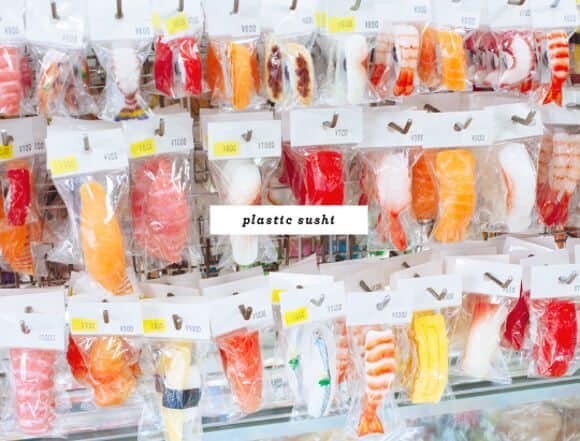 I am rabid collect of those plastic sushi things! I have been dying to go here. So jealous. 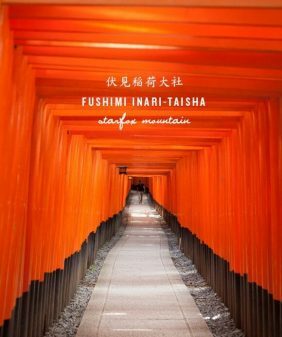 Tokyo is at the top of my travel wishlist — even more so now because of this post! I’ve always wanted to go to Tokyo but now I can’t wait to visit such a shop !! One more excellent reason to visit this amazing country for its great “love of cooking” and food culture ! Thanks for this great post ! I can understand you got stuck in this place for a while ! Such an amazing food culture, it was so inspiring! As if this post wasn’t amazing enough, the words “tamagoyaki pans (recipe coming soon)” just made my morning. I love making tamagoyaki and can’t wait to see your rendition! ha! Well, I’m still working it out. First, I haven’t brought myself to actually use that pan yet because it’s so pretty! I just love to look at it, all shiny and new. I’m also trying to figure out how to make it in a non-rectangle pan as well because I’m sure most readers don’t have one. 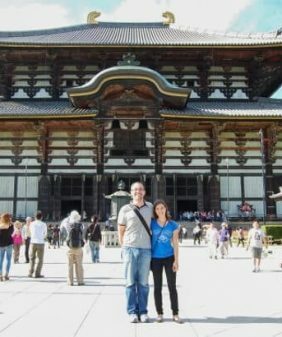 My husband is in the Air Force, and on our “wish list” of places to be stationed, Japan is in our top 3. I would absolutely love to live there for a while & your posts about your travels there are making me itch to go. I love their clean aesthetic & so many pretty cooking things! Ooh, crossing my fingers for you!I would love to live there for awhile. Even though our trip was pretty long, it was still not enough time to explore and take it all in! Omg, I can’t believe I missed this place. I want to hop on a plane to Japan right now. We lived in Tokyo for three years and I practically haunted this street after I discovered it. On return trips I never miss a run to Kappabashi. It is absolutely the most fun kitchen shopping out there! Great post. I’m so happy I found your post! I’m headed to Tokyo in a couple weeks. 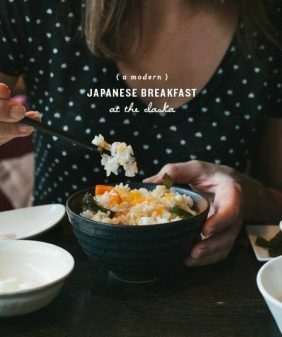 I’ll be traveling alone, and am a little nervous about that but this post got me really excited to take on Tokyo! Kappabashi is now on the top of my list. I’ll probably have to bring additional carryon with me to fit all the kitchen goodies! 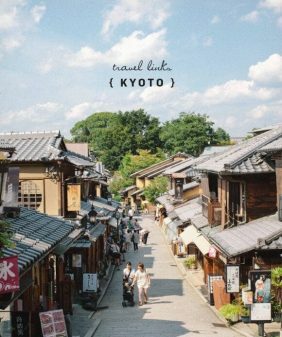 Do you by chance have any other posts of Tokyo recs like the Kyoto list? So happy I came across this post! I’m going in September and I’m bringing a half empty suitcase just for this! Im going to Kyoto in a few weeks time. Do you know if there is a similar shop there? Hi Marian, there’s not a similar area in Kyoto that’s as amazing. I suggest a trip to Tokyo for the best (and most affordable) stuff!